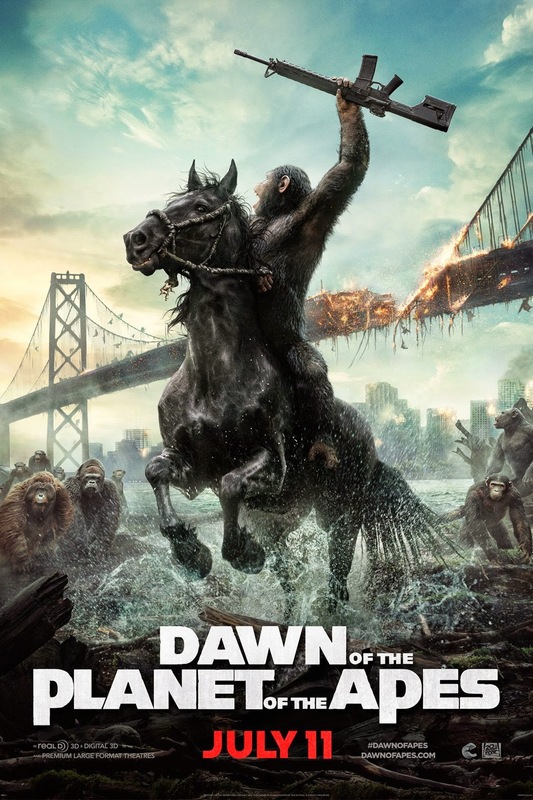 For a summer, sci-fi, action blockbuster Dawn of the Planet of the Apes is surprisingly dense. I was surprised by how much the film wasn't about its action sequences, which only made them feel more powerful. Of course, there are two groups (humans and apes) whose peoples and ways of life are wholly foreign to one another. From the very start there is strife between the two. Leaders on both sides try to keep cool heads realizing the devastation that would ensue if they were to wage war. However, the relations between the two groups are a ticking time bomb. The film slowly builds to an explosion, and quite an explosion this film delivers. At the heart of most previous Planet of the Apes films was the subject of race equality. Not so with Dawn of Planet of the Apes, because both groups are essentially separate nations. 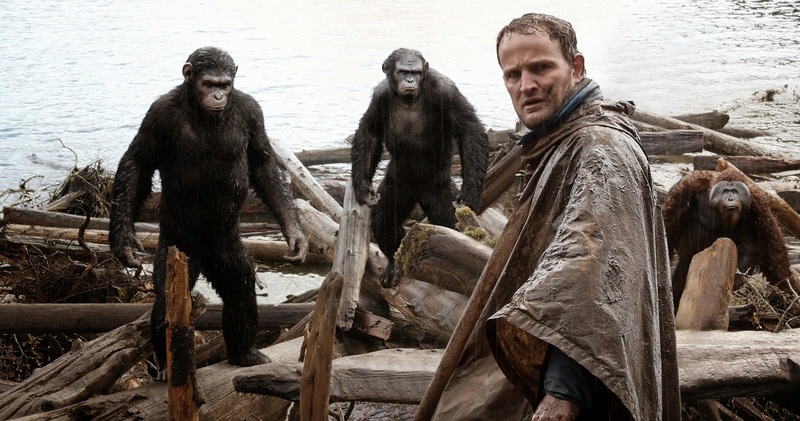 These two most recent Planet of the Apes films have been prequels leading up to those stories we already know. It's a nice opportunity for the filmmakers to breath new life into the franchise by focusing on different subjects, and at the heart of this film is international relations. Caesar is the leader of the apes because he's the smartest, the wisest and perhaps even the strongest. He only has to assert dominance physically once. The fight turns out to be foreshadowing of the final battle. The others respect him. In many ways they treat him with far more reverence than most humans afford their leaders. We spend more time with the apes, and generally come to sympathize with them almost more than the humans, correctly assuming we as humans already sympathize with other humans to certain extent. 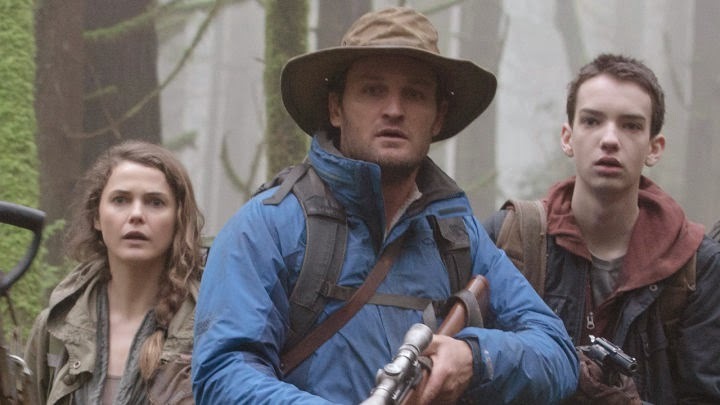 The humans leader is technically Dreyfus (Gary Oldman), but Malcolm (Jason Clarke) is the leader of a small group attempting to settle things peacefully, and begin a fruitful cooperation between apes and humans. Humanity needs electrical power to survive. To get it they need access to a dam that just so happens to be in ape territory. A chance meeting toward the beginning of the film results in a dead ape at the hands of one of humanity's bad seeds. 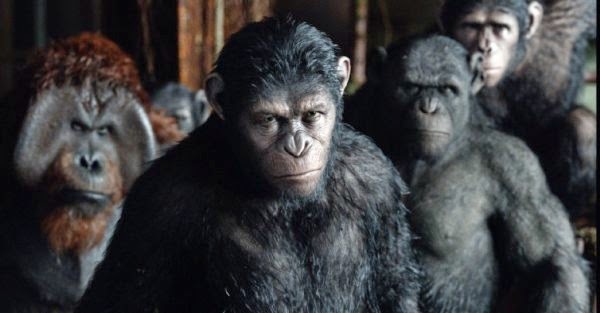 After this, apes have ample reason to distrust humans, but Caesar realizes the need to keep the peace. The groups are full of parallels. The themes for both groups include loyalty, ambition, and as a result betrayal, and of course, the difficulty in leadership. There is also the fact that there are leaders sympathetic to the other side. Those leaders also both happen to have a son, and each group has a bad seed among them that causes problems threatening their fragile peace. Speaking of those bad seeds, it's also a wonder that the writers were able to establish characters like Koba and Dreyfus as good members of their respective communities and as the film naturally progresses turn them into villains that we completely understand and even sympathize with. Few films provide us with villains we know and understand so well. Caesar is a leader forced to do things he doesn't necessarily want to do. The situation has progressed to the point where war is inevitable. There is too much bad blood on both sides. He must stand with his people to protect them and serve them, even if it means fighting a war against the humans. Andy Serkis is outstanding as Caesar. Proof that he can be put in different CGI suits and play hundreds of different characters across hundreds of different movies and you might never know it was him. 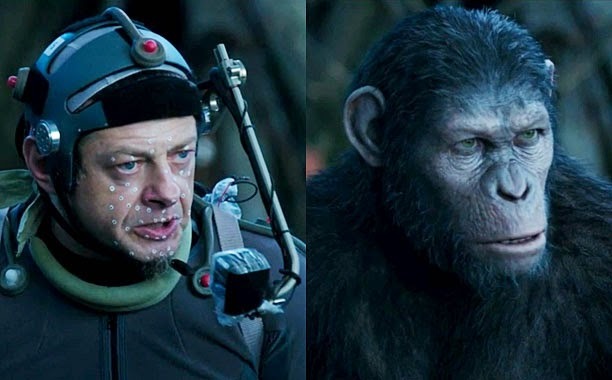 If ever there was an actor that was able to disappear into a character it's Andy Serkis. CGI allows it, but his acting has always been top notch. And considering how much of the film is dependent upon that CG, it's a testament to where film technology is these days that we could grow so attached to a character that wouldn't be possible without it. The action sequences are breathtaking in terms of the visuals, the set pieces, and the suspense. However, few summer blockbusters are as slow and deliberate about the way they build their characters and their rather complicated relationships. And this film is all the better for it. It's one of the best films so far this year.